January is a giant do-over month. Like most families, we figure out where we dropped the ball last year and set simple goals improving in the moths ahead. All of the sudden things like finishing a personal progress goal, logging miles on the treadmill or just finding the toy room floor seem like they might be do-able. Generally we fill this out during FHE. Everyone shouts out a few big yearly goals and then we help them break them down into 6 or 8 week chunks. We chat about the common reasons we fail and then brainstorm on ways we can fight those temptations before they pop up. Here’s a sample of some simple goals your family might set. Once most of the goals are crossed off, we print a new sheet and start all over. Some goals carry from one sheet to the next but most progress over the course of the year. It’s not a fancy system, but that’s the beauty of it. It’s totally do-able. Whether you have little kids, teenagers or older kids starting their own families, this printable will help you move forward as a family. It naturally encourages you to support each other and celebrate success together. Best of all, it’s totally free. 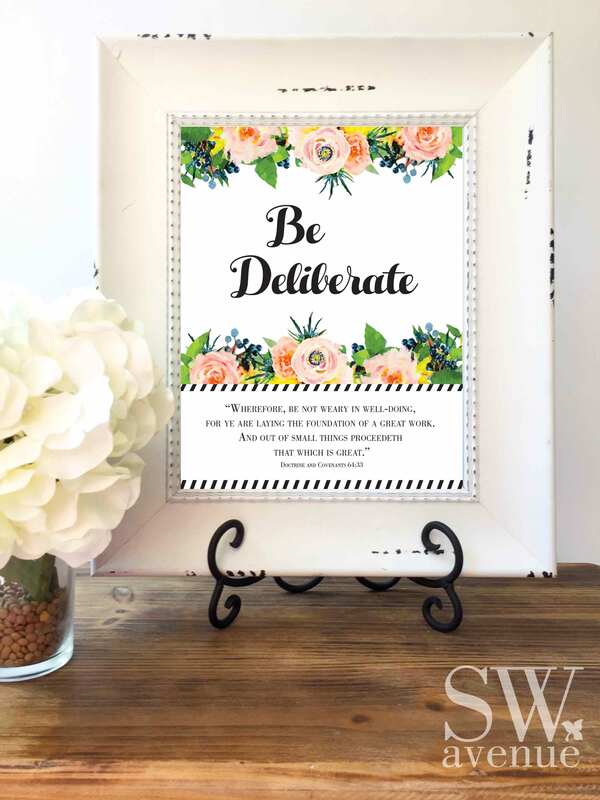 You can find the free printable below or click here to download the high-res version or click here for the pdf. The trendy, water-color styled prints can be printed at home or sent to your favorite photo lab (like Costco or Sam’s Club). Enjoy! This guest post was submitted by Maria Eckersley. Maria is a stay-at-home mom of six by day and a sleep-deprived graphic designer by night. 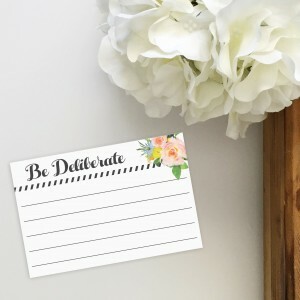 You can find more of her ideas and printables on her new site MeckMom.com. 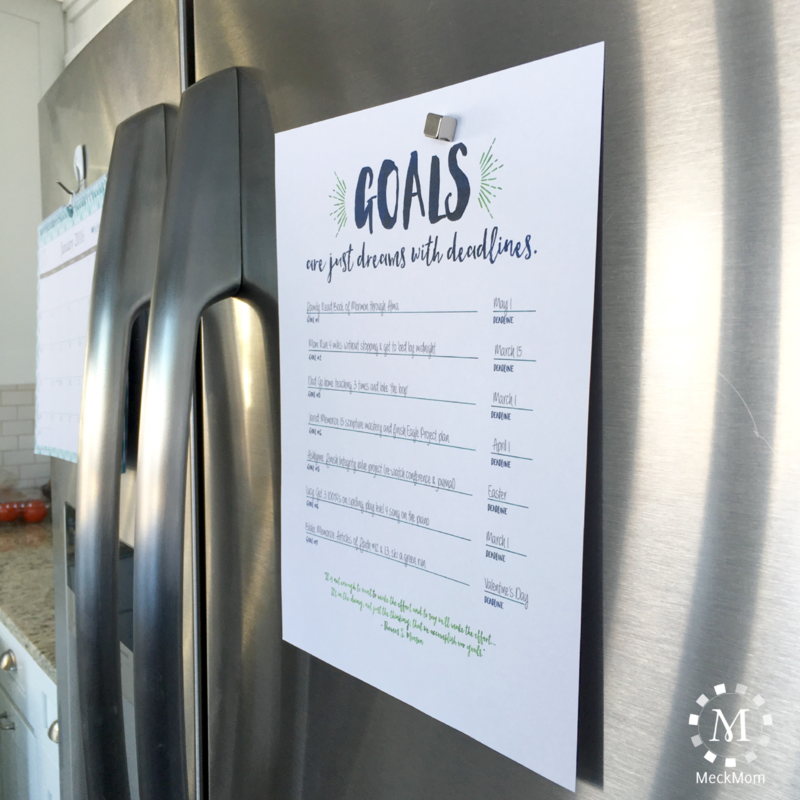 This entry was posted in Printables and tagged family, FHE, free printable, goals, meckmom, resolution on January 11, 2016 by Maria Eckersley.